You can save about 40% on food and general goods at Aldi Foods. Its a barebones store and doesn't have the selection of a regular grocery but you can get most of the items you need and you can complete your shopping at a regular store. Hi @JesseBMiller, and welcome to the online community. I had never heard of Aldi Foods, but a search brought up this map of their US store locations. They aren't in my state (Colorado) but I see they have plenty of stores in other areas. "The Aldi group operates over 8,000 stores worldwide. A store opens roughly every week in Britain alone." "Aldi Nord is responsible for its stores in Belgium, the Netherlands, Luxembourg, France, Poland, Spain, Denmark, and Portugal, and also operates the Trader Joe's markets in the United States. Aldi Süd's responsibilities are in the United States (operating under the Aldi name), Austria and Slovenia (as Hofer), United Kingdom, Ireland, Australia, and Switzerland. 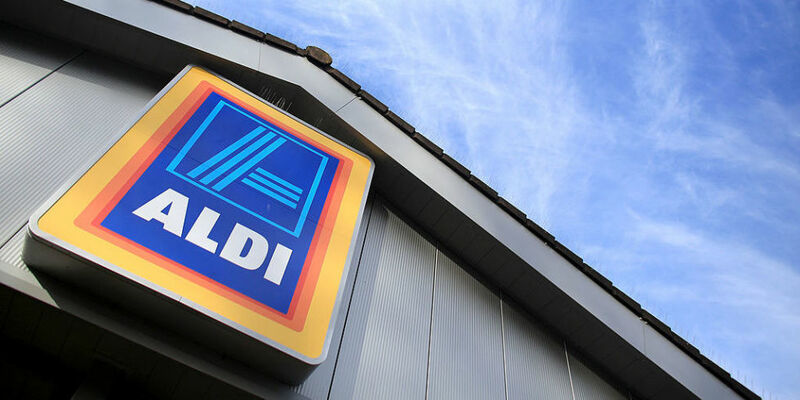 Aldi Süd's first Switzerland store opened in 2005, while it has operated in Hungary since 2007." @JesseBMiller - There is an Aldi's not too far from me, but further than the supermarket I use on a regular basis. I've been told they have a lot of organic items, which would be the primary reason I'd check it out .. one of these days! They usually carry only one brand of any item, but it is usually good or acceptable imo. They have good produce and many organics too. @LaDolceVita & @ASTRAEA Their money back guarantee and replacement of the item purchased is a win/win as well. I am never afraid to try an item from there because they are clearly labeled as to organic, non-GMO, sustainable catch, etc. If I don't like the item, the guarantee to replace and refund the money makes makes me that much more likely to give it a try. Their packaging is also clearly labeled as far as being recyclable. One thing I've thought about is this: If I were in Europe and renting a house or cottage for vacation...or even taking a road trip, I would frequent whatever grocery store was available and Aldi's has many locations there. Why would I not try it out here? The fruits and vegetables look good and are well packaged. There are organic and non-organic varieties available. If you've ever bought from Trader Joe's, there are some of the same brands there as well. I have bought German brands from there, specifically frozen strudels...vegetarian and apple, bratwurst with no chemical preservatives and special cookies my brother used to send me from the Netherlands when he lived there. I have found all of them to be first quality and they are always on my list when I go. The strudels in my freezer prove handy when I have unexpected company and I'd like to make a light snack to serve with wine, tea or coffee or even to "throw together" a respectable meal if necessary. The Aldi's near me restocks on Tuesday evenings, so I try to go on Wednesdays to pick up the freshest items and get the the best selection of any new items they may not have carried previously. @Prosecco6247 - My only hang-up is that it's not as convenient as the 2 other stores at which I shop, and if they don't carry everything, I'd still wind up having to go to the regular stores as well. One of these days!! I miss Aldi's; when I lived in the Midwest, it was my go to; bought cases of canned goods and staples for pennies on the dollar, which really helped with younguns in the house. These are "name brand" sometimes with "off brand" label (e.g., store not in your area). For those of you lucky enough to live in one of Aldi's market areas, don't forget to take a quarter with you (or more quarters if you need more than one cart); you get it back when you return the cart to the front of store; great idea; no more random carts in the parking lot! Country Living Magazine's online edition has a short article about Aldi's that reveals a few "insider secrets" that keep the prices low for anyone interested in the German grocery chain. Shopping at Aldi is a quick and easy experience. I buy most of my produce there, as well as shop for their weekly specials and "Adi finds" on many items, especially household items. You can't beat their specials on produce, for example, last week they had a bag of baby carrots for 49 cents, and they were $1.49 for the same bag at my local grocery store.